As the impresario who brings Presence to Bristol – as the Sergei Diaghilev who will one day book Presence into Colston Hall – as the veritable Lew Grade of Bristol meditation music – I’ve got news of some changes which I feel very excited about. During 2010 we’ve had a couple of days of meditation in Bristol with live music by Presence. They were beautiful days; and yet, I felt they didn’t realise their full potential. So I talked with Surabhi and Tarisha about doing something different. One thing we felt was missing was the need which all of us have for connection and community. 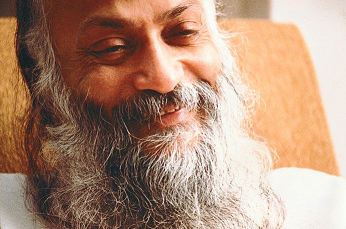 After all, one of the things which make “the Osho method” unique is Osho’s emphasis on the interplay between love and meditation, between aliveness and stillness. We realised that Presence’s expression is about both love and meditation. In the end we decided that the days with Presence (the next one, The Music of Life, is Saturday October 23rd) need to be something more like a community gathering, and with an interplay between silence (Surabhi) and connection (Tarisha.) Those of you who’ve been to celebrations at Croydon Hall may know the very soft and beautiful ceremonies which Tarisha often leads as the closing event. Ceremonies like these will be her contribution to the Music of Life days: gentle but deep heart-centered connection. The new format feels to me to have a big, big potential. We want it to really focus on meditation, and reconnect people with their inner journey. At the same time we want it to be something which non-meditators can relate to, so it will be easy to invite your friends. We want it to be a nourishment for all of us as meditators living in the marketplace. And your feedback will help shape the direction we go in. So come along on Saturday October 23rd, and invite your friends! Bring food to share for lunch. Just for this one day on Saturday October 9th, we are returning to the “old” schedule with dynamic at 8:00 am sharp to 9:00 am (arrive by 7:45 sharp if not done it before or not very often). The rest of the day will start at 9:30 sharp. This will allow us to meet the needs of both regulars and people who are coming for the first time. The rest of the day will be basically similar to normal. EVERYONE old and new is very welcome. I’ve had the phrase “making meditation the first priority” with me a lot recently. So here are some Osho quotes on that theme. All excerpts (c) Osho International Foundation. You can download the complete discourse of the first 2 quotes inexpensively on www.osho.net – highly recommended. I would like you to be more individual, more free, more alert, more conscious, more meditative. And these situations can be great opportunities for meditation. But if you get angry, freak out, start defending yourself, then please don’t ask such questions. I have no interest at all. Your relationship is your business. My simple concern here is meditation. And this is very strange — rarely do you ask questions about meditation. That does not seem to be your main concern. To me, it is my ultimate concern, the only concern, and to you it seems not a priority — it is not the first item on your mind. Perhaps it may be the last thing on your laundry list, but certainly it is not the first; the first things are stupid things, trivia. You waste your time, you waste my time. And I am ready even to help you to solve those problems just so that you can get rid of all this nonsense and have simple, loving relationships. But that will be possible only when meditation becomes your priority. Out of meditation, everything else will become graceful; you will be able to see deeply into your own acts, into your own behavior, and you will be able to have some compassion for the other person — his human frailty, the possibility of his committing mistakes. One of the Sufis’ sayings is: if you take one step towards God, he takes one thousand steps towards you. But at least one step on your side is absolutely necessary. And your one step is far more important than the one thousand steps of God, because by “God” is not meant any person; by God is meant the intelligence of this whole universe, the consciousness of the whole universe. You have a very small proportion of consciousness. Your one step is far bigger than the one thousand steps of God, because existence has infinite intelligence. So waiting alone won’t do. Just waiting is a state which is not alive; there has to be tremendous longing, a thirst from every pore of your being. Unless God becomes a question of your life and death, the meeting is not possible. Almost everybody will be prepared to wait — that means on your laundry list, God is the last item, when you have done everything of the world. And that is not possible, even in eternity; something or other will be left undone. God has to be your first priority. It has to become a kind of haunting in your heart. Breathing in, breathing out, there has to be a rememberance: whatever you are doing is nonessential, and the essential part is to go deep down in meditation. So concentrate on meditation. Make it a point that this is the topmost priority in your life, everything else is secondary. I don’t say anything else to my sannyasins, all that I want them to do is to become meditators, and everything else follows of its own accord. Freedom comes, bliss comes, peace comes, celebration comes, virtue comes, transformation comes, and ultimately the experience of god. Become an image of meditation, become meditation. Walk in meditation, sit in meditation, eat in meditation, sleep in meditation. Let the flavour of meditation spread all over your life — breathe in, breathe out, but meditation continues. Meditation simply means an awareness of all that is happening. That which is happening outside — that is the outermost circle of your life. Then that which is being done by your body — that is the second concentric circle, closer to you. Then the third concentric circle is that which is done by your mind. And then the fourth is that which is done by your feelings and emotions. And within these four concentric circles is your centre, the fifth. If you become aware of all that is going on, sooner or later you will become centred at the centre and you will be able to see the whole panorama, the whole drama of the outer world, of physical activity, of psychological activity, of emotional activity. And when you are able to see all this you become free of it because immediately you come to know that you are the seer, you are not the doer. That is the greatest revolution in life, when this shift happens, that you are no more a doer but just a seer, a witness. Than one becomes an image of meditation — a Buddha, a Christ, a Zarathustra. It’s now confirmed, we are indeed having an Active Meditations day on Saturday August 7th 2010, at St Michael’s Hall in Bristol. See here for information on Active Meditations, and here for cost, dates, and timings of each day. The day will be led by me, Islam Andrew White, with help from Suvarna Freeman. One of the days on the schedule is specially marked as an “introduction to active meditations” but that is only because we are going to do some special publicity for that day. ALL days are introduction days, open to everyone, newcomers will be made welcome, and all the meditations will be fully explained. Our next Active Meditation day will be on Saturday July 10th at St Michaels Hall in Bristol. I’ve been a meditator for over 30 years and I know that active meditations are a wonderful, wonderful support for going deeply inside ourselves. Even if you already have a meditation practice, chances are excellent that active meditation techniques will help you to go even deeper in mediation. If you have never meditated before, or tried and found it very hard, then active meditations are the perfect way to get started. so if you want some real sunshine, you might like to join them.